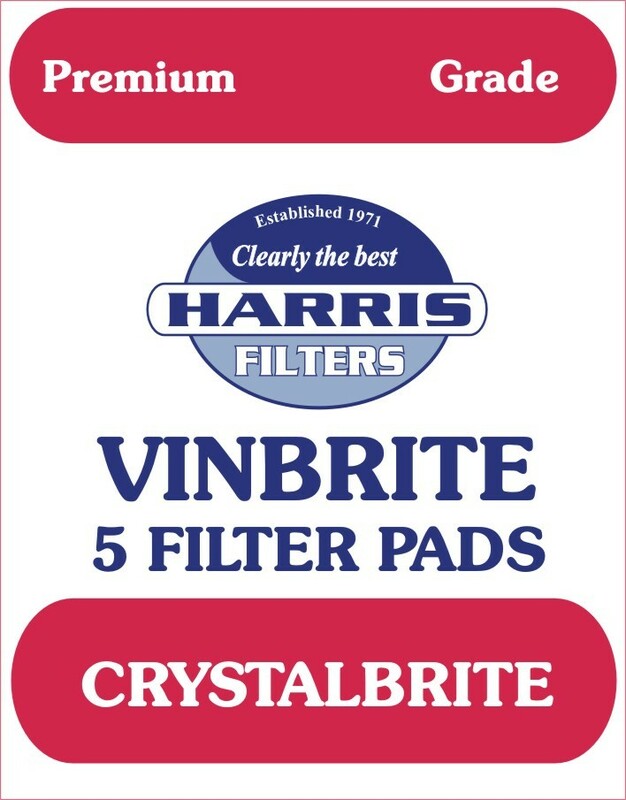 Premium grade filter pads for the Vinbrite Filter kit. Fit the filter pads according to the Vinbrite Filter instruction. Crystalbrite are premium grade technical pads offering excellent clarity and faster flow rates. They are part of a system of pads that are available for the Vinbrite Filter. The performance of the pad can be improved by first passing your wine through a coarse grade Prime Pad. This will improve flow rates and extend the life of the Crystalbrite Pad. Also available are fine grade Filtabrite Pads. These are designed to filter wines slowly, maximising the time that the wine is in contact with the pad. The longer wait will be rewarded with the highest clarity in your finished wines. Filtabrite Pads are ideal for polishing reasonably clear pre-fined wines (especially those made from kits).